When I mentioned that I would be blogging about non-profit, charitable organizations, my friend Denise Kulak (owner of "Other Fun Stuff") suggested adding the University of Michigan Depression Center to the list, in memory of George Orley, a talented young man in his twenties. While I don't know George personally, I think we all can relate to knowing someone who has suffered from or is suffering from depression. If you are reading this blog and seeking help, I hope that this blog is helpful. Here are five facts about the University of Michigan Depression Center. 1. They offer resources for family and friends of those dealing with depression. Visit http://www.depressiontoolkit.org/family-friends-caregivers/ to read strategies for helping a loved one who is working through depression. 2. Support groups are offered for several areas at http://www.depressioncenter.org/patients-visitors/workshops-and-groups/. Support group categories include: Depression and Bipolar Disorder; Survivors of Suicide; College Students; and Military Family Members. Information about group meeting times and locations can be found at the workshops link noted above. 3. The site mentions that "One in six people will experience an episode of depression in their lifetime." Depression often goes underdiagnosed and untreated. Depression may be more common that we think and it does not discriminate. 4. Multiple resources and self-tests are available, including those covering Insomnia, Depression, and a Sleep Assessment. The site cautions you that these are not to replace medical advice, but the self tests may help you to identify if there is an issue. Thanks again to Denise for the suggestion of the University of Michigan Depression Center. Was this blog informative and/or helpful? Please click to share on your social networks and leave a comment. And if you are suffering from depression, please know you are not alone and resources are available to you. Read about other charitable organizations here. 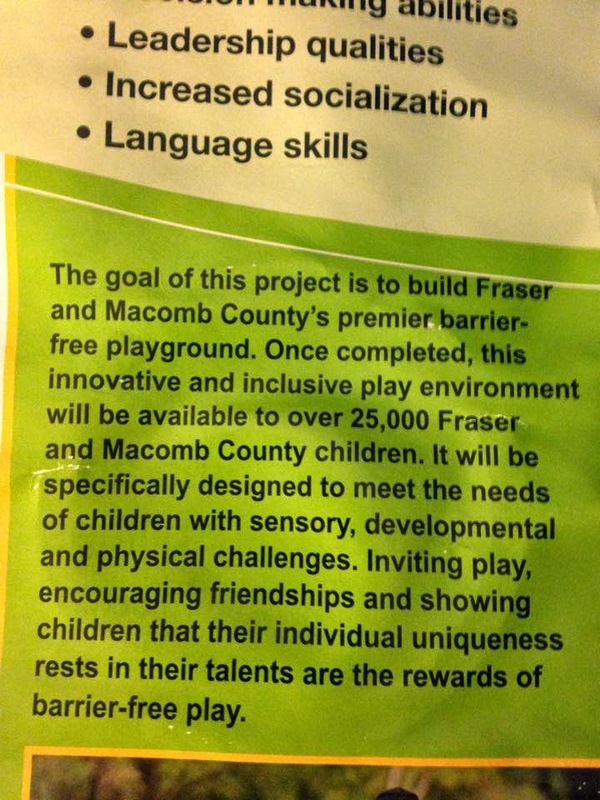 If you live in Fraser, Michigan, you are probably aware that the Fraser First Booster Club is committed to supporting the development of a barrier-free playground at McKinley Park... "where children and adults of all abilities can play and learn together." But, there are a lot of other great facts you may not know about this project. Here are five things in particular. 1. If you are interested in supporting the project, there are many ways to help. 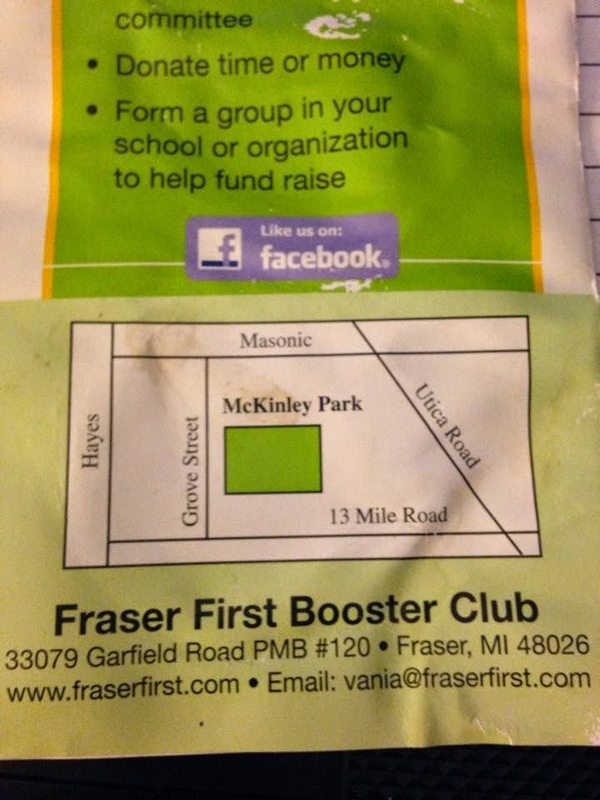 Become a member of the Fraser First Booster Club. Volunteer your time. Donate money. 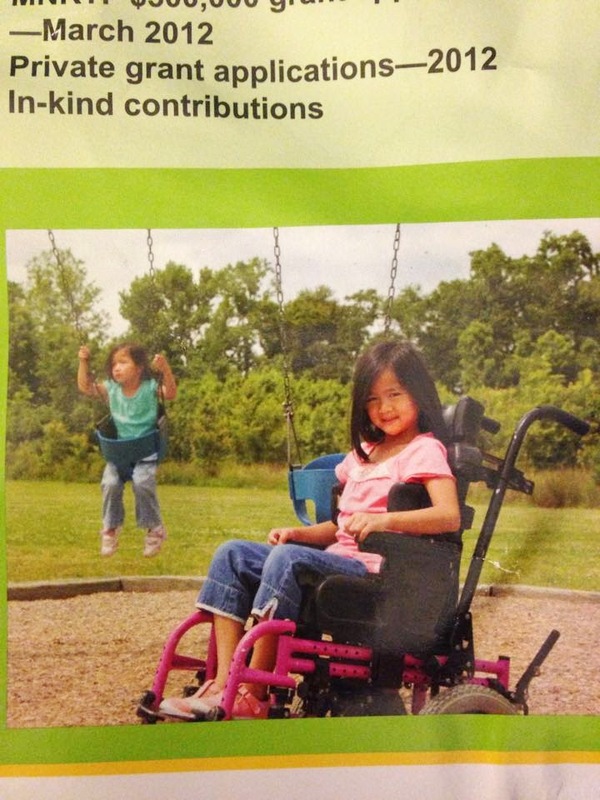 Direct a fundraising project at your school or organization toward this project. If you ask Vania, she'll tell you your support can come in many different ways that aren't all monetary commitments. But money is always appreciated. In fact, you may have seen a "Park-$-Ching Meter" at a local Fraser restaurant like the Fraser Ram's Horn where you can donate. 2. Read about news and information regarding the park project at the Facebook page https://www.facebook.com/FraserFirstBoosterClubInc. While you're at it, please give the page a "LIKE" and mention you read about the project from this post. 3. The park location is just north of 13 Mile Road off of Grove Street. Drive by and check out the progress. And in the meantime, check out the images below to see what the completed project will look like. 4. The barrier-free playground makes all areas accessible to children and adults of all abilities. 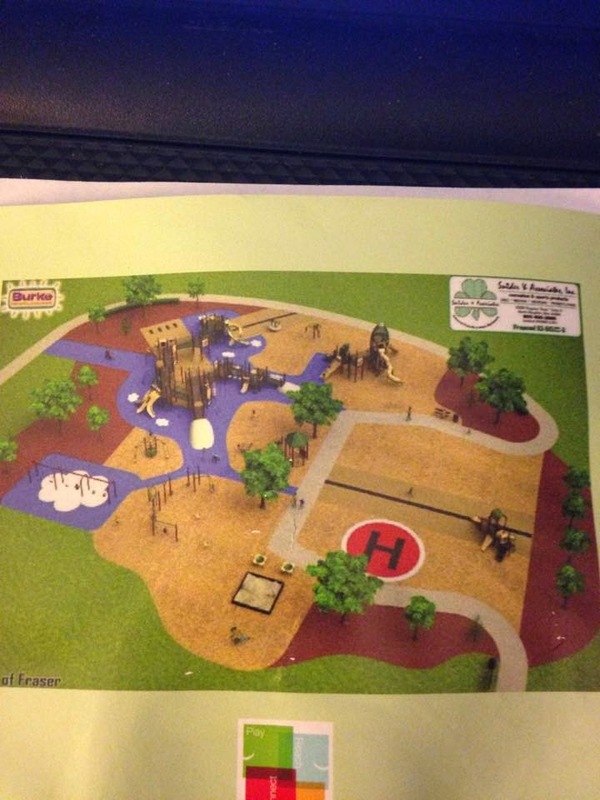 The project includes a 1,300 foot play structure, walking path, restrooms, ADA parking lot, and more. 5. There are many, many residents of Fraser and Macomb County supporting this project. The first time I met Mike Lesich was at a Detroit Regional Chamber marketing event and in our first discussion, he asked if I could help support the project in any way. In the years since that first discussion, I've learned about the Fraser First Booster Club, met Vania, supported the project with donations and at their fundraisers, and most importantly I've learned about the vision and passion that so many share about this project. There was a Macomb Daily article about this project earlier this year which you can read here. (thanks @debbiekomar1) It makes me proud to live in Fraser. Please click to share this post with others, and add comments below if you have been involved with this great project.